The Nordic Trading Competition, hosted by Global Capital Markets Solutions and FinanceLab at the Copenhagen Business School in Denmark, is set to return this fall, and organisers claim it will be the biggest and best event to date. 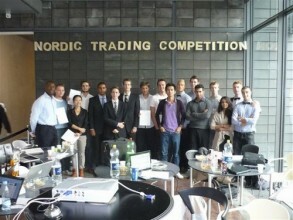 The first event took place in 2010 with around 25 competitors, most of whom came from Copenhagen although there were also competitors from other areas of Denmark, the UK, and Sweden, and international students from places such as Spain and China. However, from having mainly local roots, the event has grown into a truly international event, with major sponsors and teams entering from all over the world, including Manila in the Philippines and a team from Brazil competing via Skype. In future, GCMS sees the event continuing to expand to include a wider range of international competitors, and regional events in Asia and Central Europe. The competition pits several teams of traders against each other, all of whom are graduates of the GCMS Trading Course, using trading apps from Tradable in “battle” conditions. Each team is given a demo trading account worth $1 million, and the team that makes the most money in 4 hours will win a cash prize (sponsored by Monex Capital Markets) and job interviews with several companies. 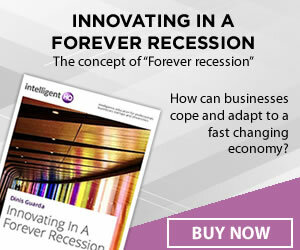 Traders can trade a variety of asset classes, although in the past Forex has proven to be the most popular choice. In addition to the main prize, there will also be products and giveaways from fellow sponsors Red Bull, Tradable, Reuters, and Royal Breweries. Although the cash prize is an obvious incentive, the effect that winning has on the career opportunities of the victors is perhaps the biggest potential benefit. However, many participants have been invited to interviews merely on the basis of qualifying for the competition, and the career-boosting benefits of participation are one of the main reasons why the event has grown so much in popularity over the years. Another major benefit of participation is that it provides entrants with real-life experience of the emotional highs and lows of a trading floor, giving them a taste of what it is like to be a professional day trader with an institutional investor. Although there is plenty that can be learned at home by using a demo account, this factor brings a new competitive dimension to the trading experience that can help to prepare a trader for a professional career. You can find out more about the latest developments in the competition at the GCMS website.